The Easter Bank Holiday is fast approaching, and we can’t wait; a full four days to relax, enjoy the spring season and also to try new recipes! What’s our favourite thing after fruit and vegetables? Eggs of course and we don’t just mean the chocolate ones! 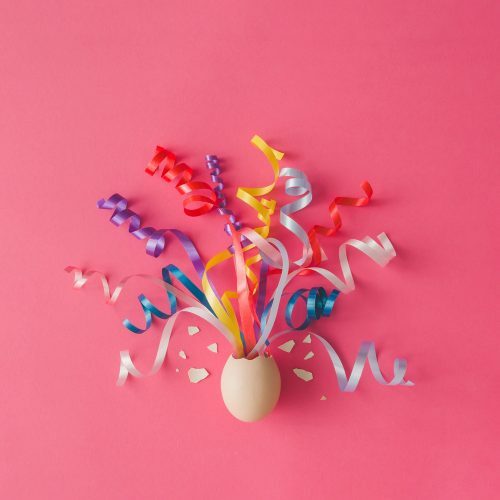 There are so many different recipes that can be created with eggs and we’ve got some ‘cracking’ one’s for you for each meal of the day! 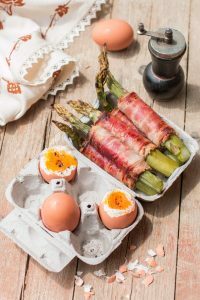 Step your boiled eggs up a gear and try them with these delicious asparagus soldiers as an alternative to toast soldiers. These soldiers are a genius way to up your veg intake. 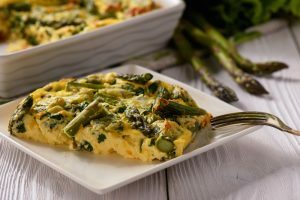 You can shop asparagus here, but why not try adding parma ham or salmon to create an intense flavoured breakfast? 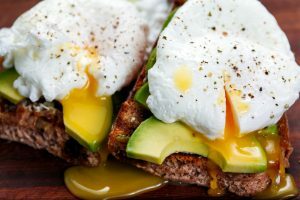 Brighten up your usual eggs benedict and add some sunshine to your plate by adding avocado slices underneath the eggs! You could even try crumbled goats cheese underneath too, for an incredible flavoursome brunch recipe. Willing to go one step further? Swap your usual English breakfast muffin for our homemade hash browns, which you can find the recipe for here. 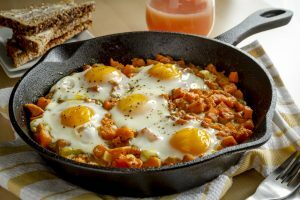 Potato hash is a firm family favourite but have you ever thought about adding eggs in? Simply hollow out parts of the mixture to make small wells, crack eggs in them and cook as you would usually for a delicious comfort lunch on this bank holiday weekend. You could also swap your baking potatoes for sweet ones to add a splash of colour and some extra flavour to your dish. If you’re a big fan of omelettes, then you should definitely try the Italian alternative of a frittata. Our favourite frittata is one that’s packed with vegetables! We recommend adding basil, parsley, spinach, kale, courgette and asparagus for a great green treat. The sweet, tart flavour and the crunchy yet fluffy texture of a meringue is one that certainly can’t go unmissed at the dinner table this Easter. 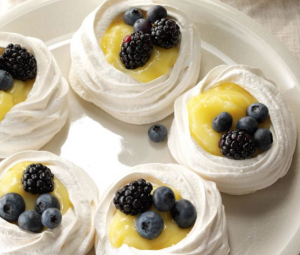 Even though meringues are always a crowd pleaser, you can go one step further and swap the usual cream for lemon curd for a sweet, spring taste. Sprinkle with berries on the top and prepare for your guests tastebuds to be amazed! We found this amazing recipe on Taste of Home. Don’t forget to share any recipes you create with us on Instagram using the hashtag #CuttingVegRecipes. Happy Easter!